Streaming video sites like YouTube and The Onion are great. Their only limitation is that you need to be connected to the Internet. And while cellular networks and Wi-Fi hotspots are nearly always accessible, there are some cases (i.e. airplanes, subways) when we have to do without. 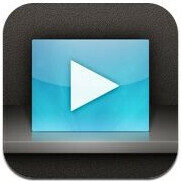 The new Roadshow app fills the gap, allowing you to download streaming videos to your iPad for offline viewing. Besides offline viewing, it also reduces load-times and reduces your data usage. Unfortunately, the almighty YouTube isn't one of the compatible sites. 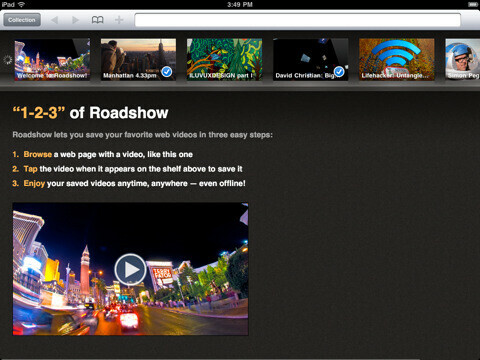 But Roadshow is compatible with sites like The Onion, CollegeHumor, Funny or Die, and TED Talks. And those sites are already bookmarked on the shortcut menu. Operation is very simple: When you find a video through Roadshow's browser, a thumbnail of the video will appear on the side. Simply tap the thumbnail, and your video will be downloaded. The free version of the app limits you to 15 videos, and has banner ads. The $4.99 version removes the banner ads and gives you unlimited downloads. Are you interested? Or is the lack of YouTube support a deal-breaker?